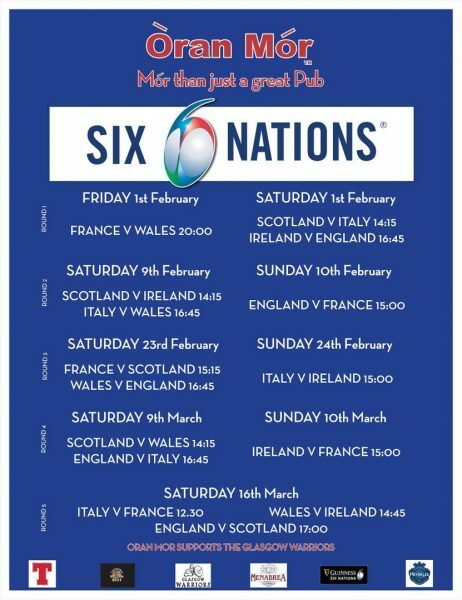 Join us for a pint and enjoy all the action from this year’s Six Nations Rugby Championship live on our big screen in the main bar. 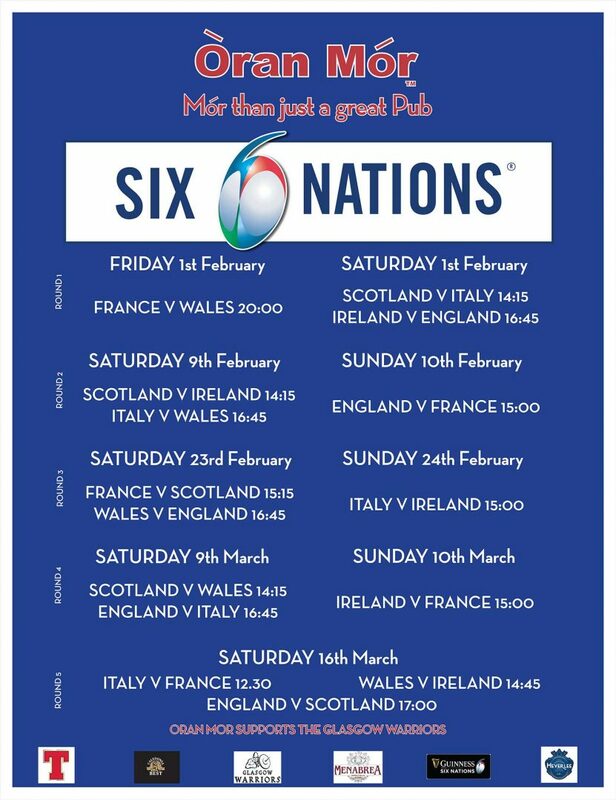 We’ll be showing every match on the big screen through ’til 16th March at Òran Mór, kicking off on 1st February with France v Wales followed by Scotland v Italy and Ireland v England on 2nd February! Fancy a bite to eat too? Our John Muir Room Menu is served in the bar all day.